When we think of disastrous weather, the first things that come to mind are thunderstorms, hurricanes and floods to name a few. What many of us don’t consider is hail. Hail can lead to severe damages to your vehicle that can also lead to high repair costs, leaving you having to rely on a rental until repairs are made. 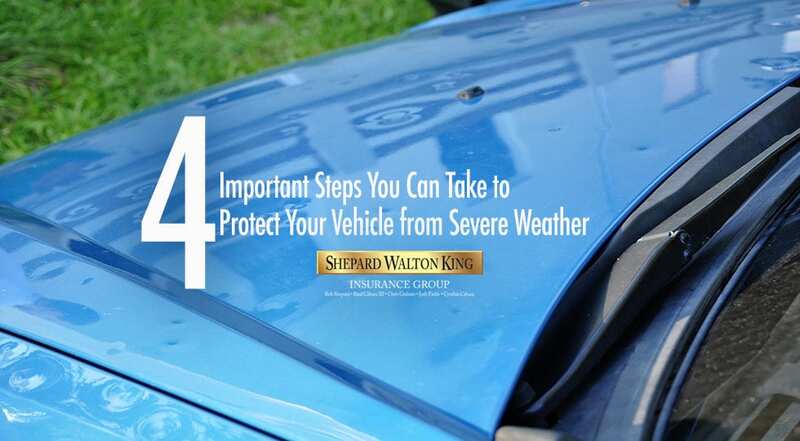 Do you have the coverage needed to protect your vehicle from severe weather? 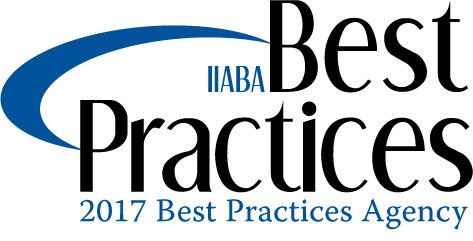 Shepard Walton King Insurance Group can help you find an insurance policy that best fits your needs and budget. In this piece, we’ll be going over a few suggestions on how to limit the risk of strong weather-related damage to your vehicle. This will always save you from having to pay unnecessary repair costs on your vehicle should a strong storm hit your area. 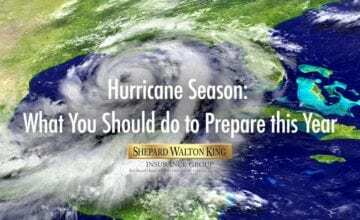 Get to know your region more, such as how prone it is to tropical weather systems, flooding, etc. This way, you’ll get a better idea of whether or not roofed parking will be worth the investment. Also, find out what you can about your current car insurance policy – if you have one. 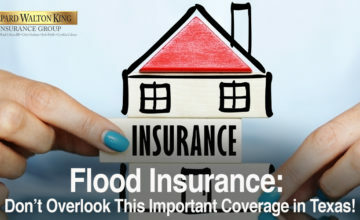 This way, you can see what types of damages are covered. 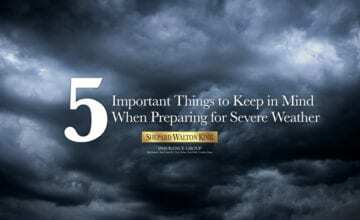 Severe weather waits for no one. If you happen to get caught away from home in bad weather, then your first act should be to find shelter, more so for yourself than your vehicle. If you do manage to have some time to find shelter, then go with somewhere reinforced to protect your car. This can include a parking garage, which are great locations for safety. Of course, this all goes back to having insurance just in case you have little time to ensure that your vehicle is safe. It’s essential to acquire car blankets or car covers just to be safe. It’s possible that you’ll come across instances where keeping your car away from severe weather such as high winds and hail will be close to impossible. Blankets or car covers can be of great help. Although there’s no guarantee they’ll protect your car from heavy falling objects, they can actually help minimize the level of damage from these hazards. If you aren’t insured, then don’t go one more day without coverage. Although we’re close to summer ending, there’s still a chance that the South Texas region can be dealt a severe weather incident. We saw this in June with heavy rains, so there’s no telling if another similar or stronger storm might hit. Be on the safe side and find insurance coverage for your vehicle today if you haven’t already! 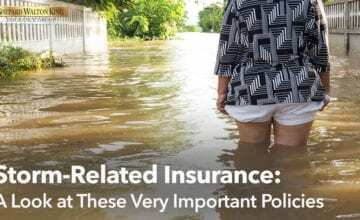 If you’d like more information on how we can help you or which types of policies we can help you find, then contact our insurance agency in McAllen today!